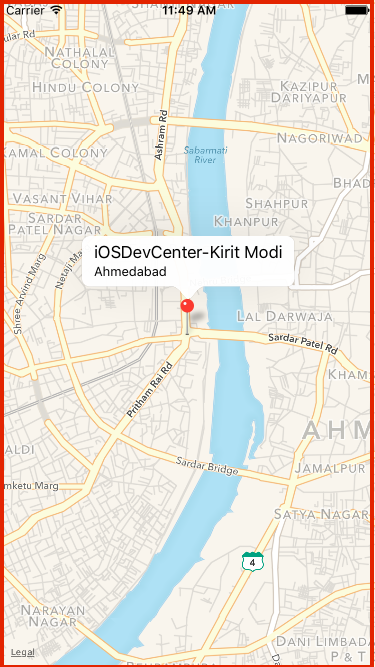 The MapKit framework providing the map details on the iOS device. 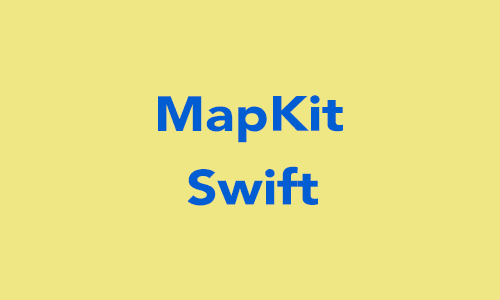 By use of the MapKit, we can display location, annotation on Map, adding Overlay, Draw route on Map , add shapes on Map, and also find the Placemark information from MapKit framework. 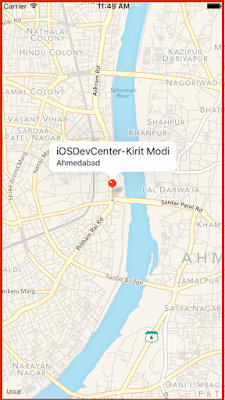 This tutorial only provide simple map integration and display pin on Map with MKPointAnnotation. Step 1 : Open Xcode 7.3 and create new project name as "MapDemo". also fill other details like organization name, organization identifier, etc. Step 2 : Open Storyboard and drag & drop MapView in ViewController. Give the MapKit View the same size as its main view. 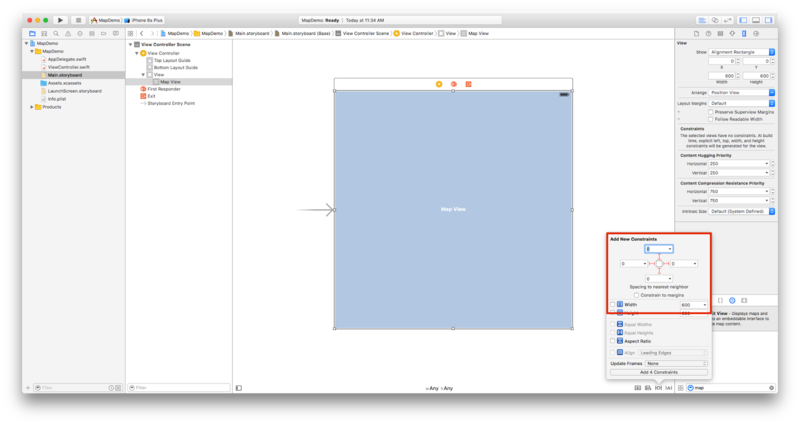 so set autolayout constrain of MapKit view. see the below image. 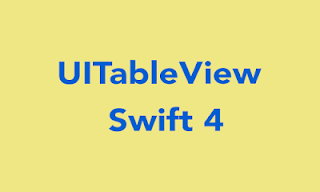 Step 3 : Connect MapKit View with IBOutlet in ViewController.Swift. 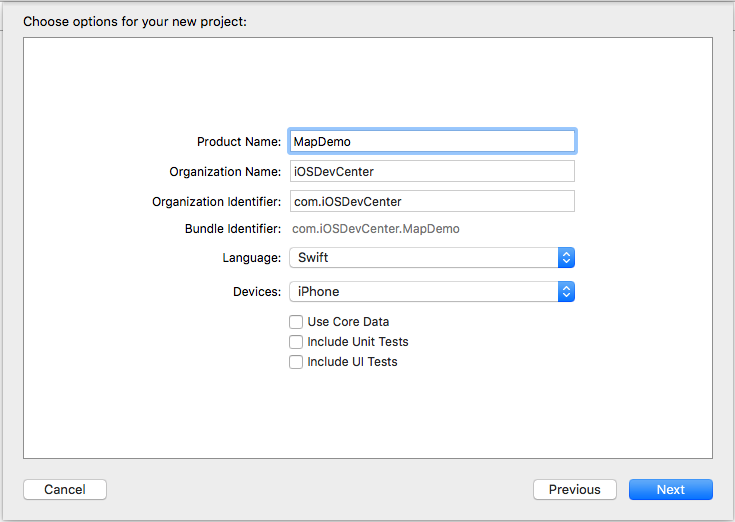 Step 4 : Go to the ViewController.Swift class and import MapKit framework in this file. 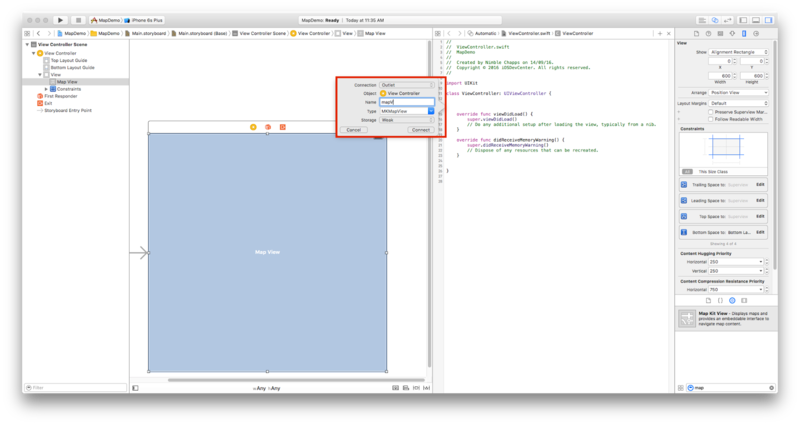 Step 5 : Now add the code in ViewDidLoad of ViewController Class. 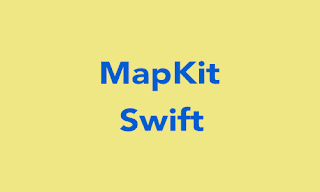 1) You are set the type of the MapType using MKMapType. 2) Define location CLLocationCoordinate2D with the latitude and longitude. 3) MKCoordinateSpanMake which use to Span according to Location NorthToSouth and EastToWest. 4) Add the MKPointAnnotation on MapView with its Title and SubTitle. MapView with Pin Annotation according to its coordinate.